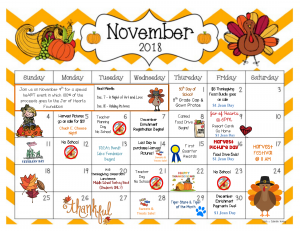 Happy November Tiger Family! 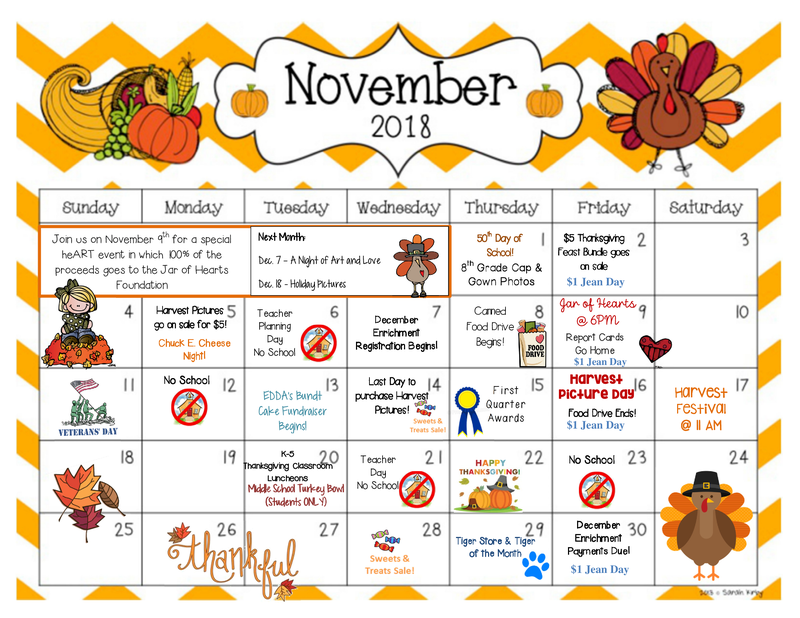 Please see below calendar of all the exciting things we have coming up this month! On Saturday, October 27th at 10:00 AM come out and enjoy prizes, raffles, and more! Please click the link below for more information on how to register. 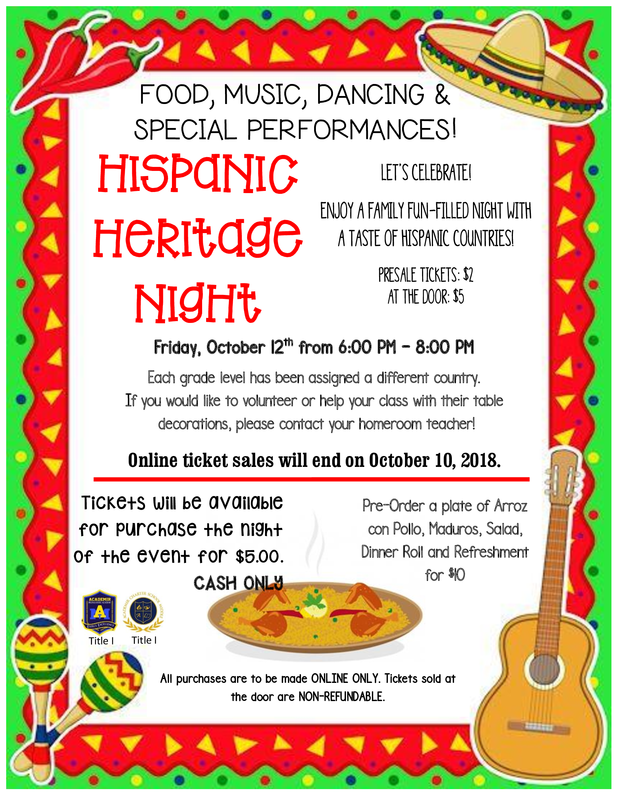 Don’t miss a night of culture and fun with your family! On October 12, we are hosting our annual Hispanic Heritage Night! 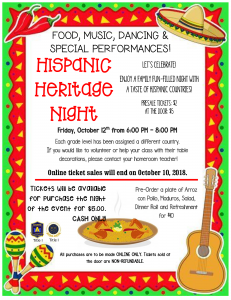 Buy your tickets and pre-order a delicious plate of Arroz Con Pollo on our online store before October 10th. We can’t wait to see you all there!